Practical lightweight backpack, made with Jacquard canvas and combined with leather details and high quality hardware. 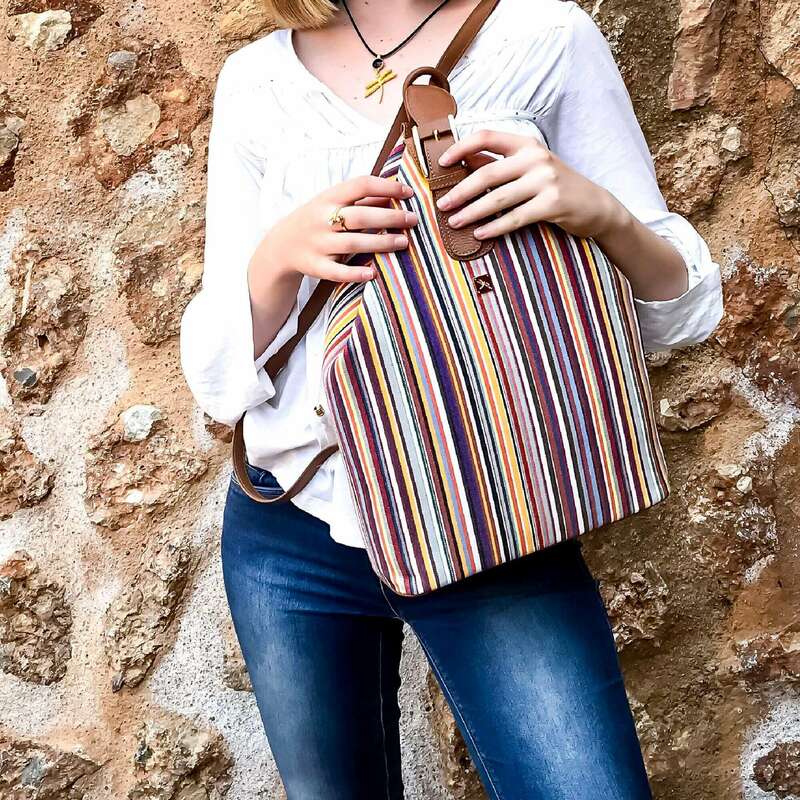 Ideal for traveling, designed and carefully created in Tara's Atelier. Zip closure, two straps, canvas lining, italian decorative buckle. Jacquard print may vary from the picture according to its unique cut. Includes a dust bag.